Doraon Hyeonpyo claimed the Korean Breeders’ Cup at Seoul this afternoon to become the nation’s Champion Juvenile of 2014. And it was a clean sweep of the placings for Busan horses as he led home Rafale and Summit Myeongun at the end of the 1400M race. Doraon Hyeonpyo was sent off as the slight favourite ahead of Gyeongnam Sinmun Cup winner Rafale and these two would fight out the finishing with Choi Si Dae guiding Doraon Hyeonpyo to victory by just under two lengths with Summit Myeongun a further five legnths back in third. 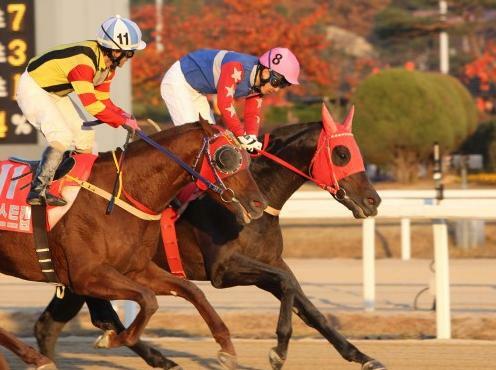 Gwacheon Mayor’s Cup winner Cosmos King confirmed his status as Seoul’s top two-year-old, coming home in 4th with Yesuri Myeongun taking the final money position under Masa Tanaka. The only filly in the race, Dream Queen, was 6th. Both the winner and runner-up were sired by young stallion Colors Flying (A.P. Indy) who was imported in late 2010. 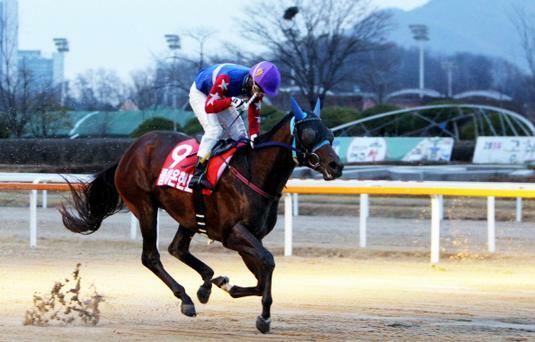 Doraon Hyeonpyo and Rafale are among his first crop to hit the track in Korea. Ua Deungseon added to her Donga-Ilbo Trophy victory by claiming the Nonghyup Chairman’s Cup, the last big Stakes race of the year for fillies, at Seoul Racecourse this afternoon. Ua Deungseon was 7th in the Korean Oaks at Busan in August but returned to Seoul to win the Donga Ilbo Trophy in Sepember. Sent off as slight favourite today, she just held on in a tight finish from Geumbit Hwanhui and outsider Cupid Girl. Gamdonguibada was back to her dominant best at Busan on Sunday as she crushed her opposition to win the Gyeongnam Governor’s Cup and in doing so, complete the full Queens’ Tour set, having won the Ttukseom Cup and KNN Cups earlier in the season. She was sent off as the slight odds-on favourite for the 2000 metre, with New York Blue, who had beaten her over the same distance last month – albeit carrying less weight – second in the market. In the end, it wasn’t even close. While outsider Silver Classic set the pace for much of the race, Gamdonguibada was always on her shoulder and pounced as they entered the home straight. A slight drift over to the stands side barely registered as the 5-year-old sprinted away for a 4-length win. New York Blue was 2nd while prolific placer Ms. Margaux was 3rd. It was a 6th Stakes win for Gamdonguibada and the $31,000 purchase from Ocala in 2011 has now earned almost $2Million in prize money. He biggest win came in the 2012 Grand Prix Stakes and her name is on the ballot for this year’s event too. New York Blue in 2nd showed that she too is of high quality at any distance while it was another superb training performance from Peter Wolsley to send out Ms. Margaux into 3rd. Yereobunuiyeowang, under Japanese jockey Nozomu Tomizawa was 4th while Dragon Hill led home the Seoul contingent in 5th. The Queens’ Tour series of three races to decide the nation’s champion filly or mare, the first of which was all the way back in March, finally concludes at Busan this Sunday. 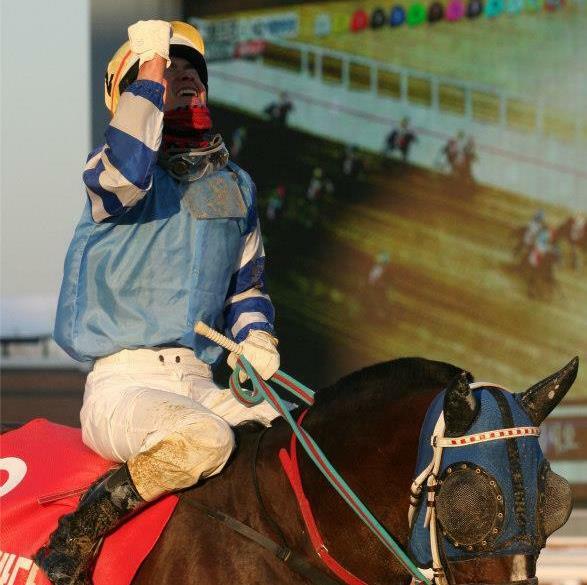 Gamdonguibada, the 2012 Grand Prix Stakes winner, claimed victory in both the Ttukeseom Cup at Seoul and the KNN Cup at Busan in August and has the chance to complete a clean sweep in the Gyeongnam Governor’s Cup. It’s been an up-and-down year for the five-year-old mare but she will have plenty of backers to complete what would be a creditable hat-trick in races over seven, eight and ten furlongs. Of those out to stop her, New York Blue, who she beat in the KNN Cup in June, but who has since beaten her, looks the most interesting. 2nd in the YTN Cup behind stablemate Big Power, who also goes here, she was 5th in her only outing since and despite Seo Seung Un coming down to ride her, it’s tough to recommend her to beat the Busan horses. A big jockey booking in the shape of Jo Sung Gon but this mare has found life difficult at class 1 and has struggled in two starts to date at this distance. She was 4th in the KNN Cup in June and a similar result here would be a realistic target. She hasn’t won in three starts since the KNN Cup and was three lengths behind New York Blue last time out over this distance. She was conceding almost 6Kg that day though and will only be conceding 2kg this time. A strong chance of completing a clean sweep. She hasn’t won any of her 23 starts and that won’t change. Well beaten in both the Ttukseom Cup and the KNN Cup, she’s yet to graduate from class 2 and doesn’t have the speed to compete strongly here. She was 3rd behind Miss Margaux on her most recent start at 1900M – a filly she beat when winning the Gold Circle Trophy in July – but was tiring in the closing stages and will need to show improvement here. That Gold Circle win was in a quick time and she showed good late speed. She’ll need to get back to that form if she is to compete here. Finished 3rd behind El Padrino and Wonder Bolt in the Asia Challenge Cup at Seoul in August over 7 furlongs and then surprised some with a strong 2nd behind Beolmaui Kkum and ahead of Gamdonguibada at this distance a month ago. For that reason, she has the second highest rating in the race, as well as being the fastest, and has every chance. 6th in the Ttukseom Cup and 7th in the KNN Cup. With the exception of a 2nd place in August, recent results haven’t been encouraging and she was sent off at odds of over 170/1 on her last start. An outsider. 4th in the Ttukseom Cup and 6th in the KNN Cup, she has a quick finish and may be in line for a place if she can find a good position as they head for home. Scored a win over Gamdonguibada at this distance back in January when she benefitted from an 8kg weight advantage. They carry the same here though. 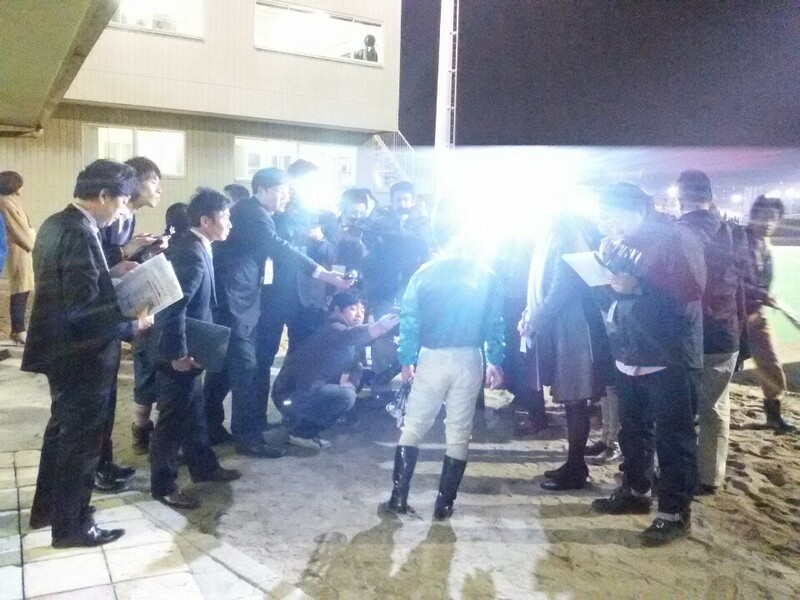 Kim Ok Sung was riding in Tokyo in midweek when he rode the 11th horse home in the Korea/Japan Interaction Cup. He could well be finishing 11th in this one too. She’s only run twice since finishing in that position – 11th – in the Ttukseom Cup and those runs do not inspire confidence. A good winner of the YTN Cup back in August, she was (a well-beaten) 6th of 13 against a competitive field on her class 1 debut the following month. She won the YTN Cup from just off the pace but there are plenty here who can finish strongly she’s going to need to find improvement. This 3-year-old won her first five races before coming 9th in the KRA Cup Mile, the first leg of the Triple Crown. She hasn’t won since although she did manage 3rd in the Korean Oaks in August before finding things very tough at Seoul in the Minister’s Cup last month. She should do better here but is tough to recommend for the win. Peter Wolsley’s filly had recorded six 2nds and six 3rds before finally breaking her maiden at the 13th attempt last month. The line only just came in time that day in what was a slowly run race and she steps up a further 100 metres here. She’s demonstrated she has plenty of speed in the past though and she may well be up there competing for a place again. She’s spent the past year running at sprint distances at which she regularly picked up minor places until graduating to class 1 where she has found herself out of her depth. Her return to racing around two-turns of the track is likely to be no easier. 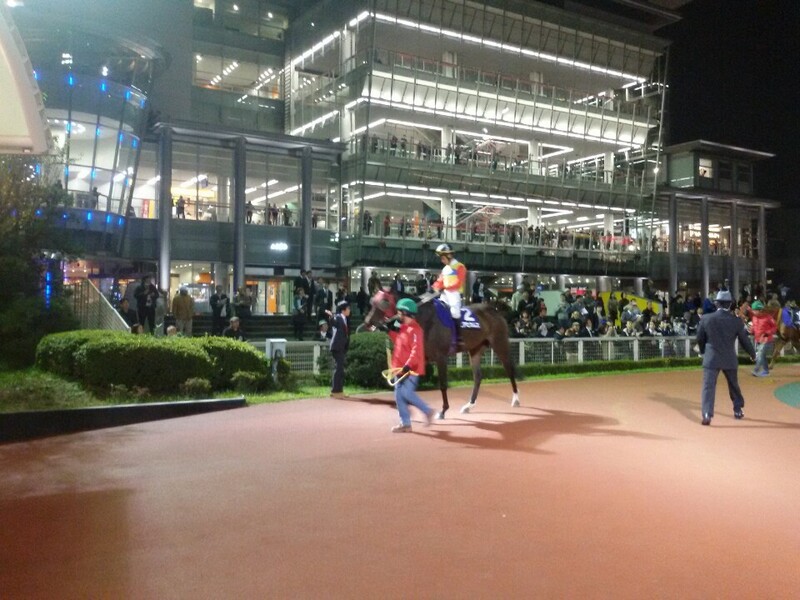 There was to be no repeat of Watts Village’s sensational 2013 win for Korea in the latest edition of the Japan/Korea Interaction Cup at Ohi Racecourse in Tokyo on Tuesday night. Three Korean trained horses made their way to the Japanese capital to take their chances in the 1200M race. However, they were to come up short against a strong line-up of local sprinters, with the race won by the favourite, 6 year-old US-bred Satono Daytona (Tapit). Here He Comes, ridden by Moon Se Young, came home in 9th, with Parang Juibo in 11th under Kim Ok Sung and Useung Iyagi, who set the early pace under Ikuyasu Kurakane, finishing last of the 13. All horses and riders finished safely and will return to Korea later this week. Regardless of the result, the successful running of the race was another step forward as Korean racing, after decades of isolation, finally starts to establish its presence internationally. And while it was unquestionably disappointing for Korean racing fans that the best domestic sprinters were not put forward for the trip, especially after the unexpected win last year, sometimes it is the taking part that counts. With this bilateral race with Japan set to continue, and the successful hosting of the Asia Challenge Cup earlier this year, “Interaction” is finally happening. The expressway between Seoul and Busan is called “Gyeongbu”. 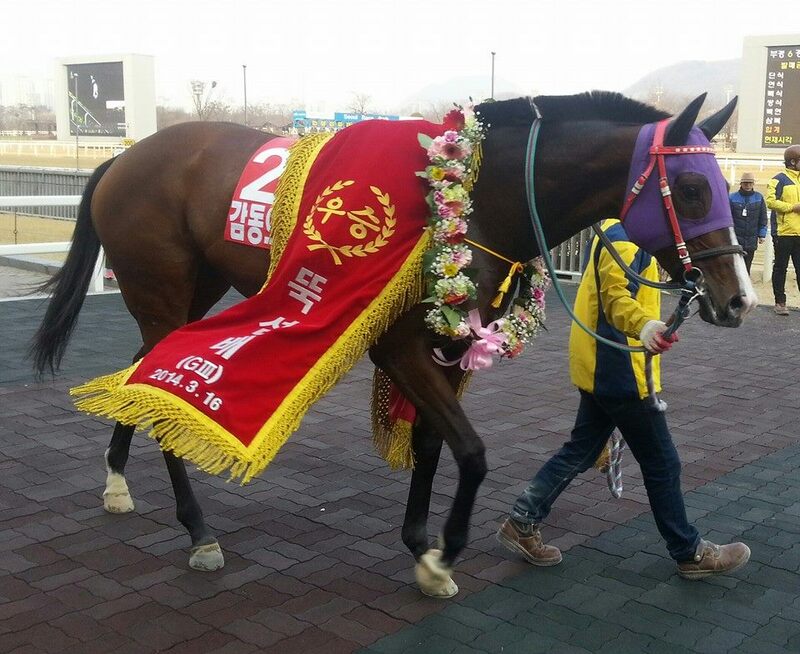 Given that so much big race prize-money has disappeared down that road from the capital, it is perhaps appropriate that a horse called Gyeongbudaero, returned back South with the biggest prize of them all in the President’s Cup yesterday. 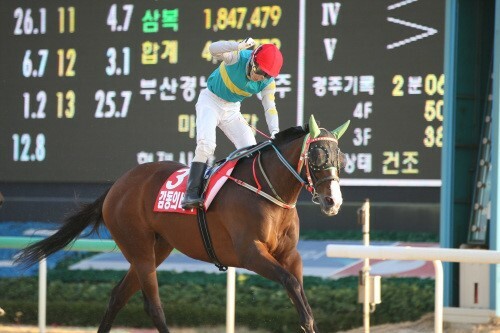 Now five-years-old, Gyeongbudaero won the KRA Cup Mile, the first leg of the Korean Triple Crown in 2012. He followed it up with a third place in the Korean Derby and that year’s President’s Cup. Last year he would come back to Seoul and finish second. This year he finally got it right in the nation’s richest race. It was another Busan raider, Hangangui Gijeok, who was sent off as the pre-race favourite, with Magic Dancer also ahead of Gyeongbudaero in the betting. And it was Magic Dancer who set much of the early pace with the favourite and Ganghae, a shock third in the Minister’s Cup, in close attendance. This would turn out to be a race for the closers though and as first Ganghae disappeared and then Hangangui Gijeok Magic Dancer began to wane, it was Gyeongbudaero and outsider Best Captain who took full advantage. They would battle all the way to the line but it was Gyeongbudaero who got there first by a head. Magic Dancer came home three lengths back in third ahead of Hangangui Gijeok with Derby and Oaks winning filly Queen’s Blade in fifth. It was a tenth career victory for Gyeongbudaero and his fourth Stakes win. Twelve of his twenty-seven starts have been in Stakes company and he is now approaching the KRW 2 Billion mark in prize-money won. If connections want it, they will be sure of getting an invite back to Seoul next month for the season-ending Grand Prix Stakes. Gyeongbudaero’s sixth place in last year’s race is one of only two occasions to date on which he has been out of the money. * So yet another big race win for Busan and it is the southern track that looks likely to take the honours when horses from the two tracks clash again next Sunday – this time on the South Coast – in the Gyeongnam Owners’ Cup, the final leg of the Queens’ Tour.